I’ve written for publications as small as a suburban monthly newsletter to as big as newspapers and magazines with national reach. I’m hardly an ink-stained wretch, but I’ve seen my fair share of lousy, off-target pitches from clueless PR reps. I want to help. Over the years, I’ve deleted or ignored far more PR pitches than I’ve actually responded to. At one job, I actually had an email filter set up specifically to avoid wasting my time reading such messages. On the opposite end of the spectrum, I’ve actually made friends with some of the better and more honest PR professionals I’ve encountered, leading to mutually beneficial working relationships. So how can you develop trust with a journalist and avoid the spam filter? Take these 3 lessons to heart. 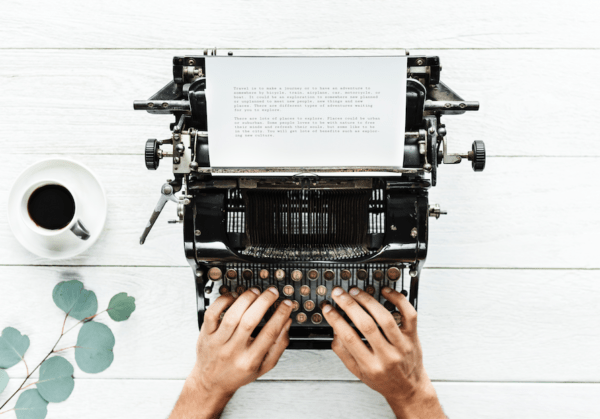 At the most basic level, what a journalist really wants from an email or call from a PR representative is for the 5 W’s to be answered: Who, What, Where, When, Why? If you’re trying to get placement for your client, to stand out from the hundreds of other emails in their inbox, you’ve got to make it clear and concise for them. Leaving out key information (such as how to contact you or someone from your client’s company) won’t always intrigue us to contact you for more information. You’d be surprised how often this happens. Are you publicizing an event? Make sure you include time, date, place, as well as details not germane to the public, such as interview availability. Contact information is absolutely crucial, especially in a deadline situation. Before sending out the release or the email, ensure that yourself and/or the client contact has time to talk to a reporter. It’s quite frustrating to play phone tag, or wait until tomorrow for your company’s CEO to have time to talk on the record. The most important W, though, is the Why. When writing to a reporter, the most valuable piece of information you can offer is why this matters to that writer’s readership. We both know why you’re writing the email, as your job is to get your client placed in my publication. If you have an understanding of who our readers are and what they want, we pick up on that. Journalists are perceptive enough to know the difference between a mass-produced scattershot email and one that is relevant to just the writer. You want to know how the best partnerships with PR professionals start? An introductory email. My name is Sarah, and I’m with Major PR Company. Some of my clients include Corporation 1, Startup 2 and Sports Team 3. I’ve been reading some of your recent work, and I’d love to meet up with you for coffee when I’m in town for a conference next week. We’ve got some exciting news coming up, and I’d love to learn more about what stories are of interest to your readers. Boom. That’s an email I’m responding to. The first ask isn’t for coverage that feels like thinly-veiled advertising, but to get to know what matters to my readers. If you introduce yourself first as a human, getting to know reporters as fellow humans, you’ll be surprised with how many doors (and future emails) will be opened. Take a moment and check out the journalist’s LinkedIn page, Twitter account or Facebook profile. Try to find some kind of reasonable common ground, like an alumni connection or a mutual hometown. If you call me by a wrong name, refer to my competitor in your pitch or commit some other error, I’m not responding to your email. I’m forwarding it to my coworkers and laughing about it on Slack. The most hilarious are the ones that start, “Hello (insert first name).” If you can’t put enough attention into your email, why should I? If you and your company really want to appeal to a writer, it’s worth it to spend some time reading recent stories. We can absolutely see through it when you send one of us an email telling us how you have this incredible opportunity and how much you loved a story we wrote … five years ago. Odds are, the journalist’s coverage and readership have changed over the years. Maybe the writer just wrote that one story because it had a tangential connection to her beat and it was a slow news day. If your client makes widgets and the journalist covers the widget industry, “ACME Company releases new widgets” is a pitch that gets dumped. “ACME Company CEO Bob Jones offers predictions on how the widget industry will adapt,” is one that gets placement. Look at the stuff your writer tweets about, as they’ll usually have their finger on the pulse of their beat. If you can craft your pitch to something the journalist is passionate about right now, your odds of getting placement rise substantially. It all comes back to simply seeing the writer as a human, not just your next target.